All Saints' Church Northampton - 14 Years of Jam Sandwiches! 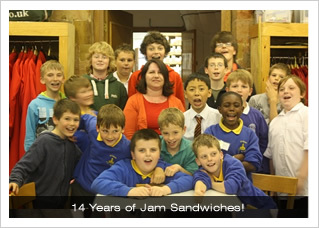 14 Years of Jam Sandwiches! taking generations of ebullient boys across the world. However, with Robert now long gone from the choir to pastures new, Mrs Mills has finally decided to hang up her tea towel and call it a day. We will all miss her, but many, many thanks for 14 years of jam sandwiches!